The new 16-bit PIC24 chip provides embedded programmers with more speed, more memory, and more peripherals than ever before, creating the potential for more powerful cutting-edge PIC designs. 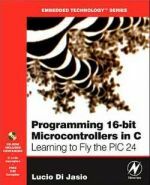 This book teaches readers everything they need to know about these chips: how to program them, how to test them, and how to debug them, in order to take full advantage of the capabilities of the new PIC24 microcontroller. Learn how to write your own program, debug it, and use it to start the microcontroller. We have provided plenty of practical examples with necessary connection schemes: temperature sensors, AD and DA converters, LCD and LED displays, relays, communications, and the book is constantly being updated with fresh examples. All code is commented in details to make it easier for beginners. Instruction set, operators, control structures, and other elements of BASIC are thoroughly explained with many examples. 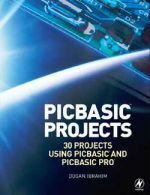 Also, the book includes a useful appendix on mikroBasic development environment: how to install it and how to use it to its full potential. 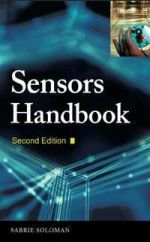 Fully revised with the latest breakthroughs in integrated sensors and control systems, Sensors Handbook, Second Edition provides all of the information needed to select the optimum sensor for any type of application, including engineering, semiconductor manufacturing, medical, military, agricultural, geographical, and environmental implementations. This definitive volume discusses a wide array of sensors, including MEMS, nano, microfabricated, CMOS, smart, NIR, SpectRx(tm), remote-sensing, fiber-optic, light, ceramic, and silicon sensors. Several in-depth application examples from a variety of industries are included. The comprehensive details in this authoritative resource enable you to accurately verify the specifications for any required component. This is the most through, up-to-date reference on sensing technologies available. 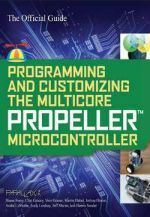 Written by a team of Propeller experts, this authoritative guide shows you how to realize your design concepts by taking full advantage of the multicore Propeller microcontroller's unique architecture. The book begins with a review of the Propeller hardware, software, and Spin language so you can get started right away. Авторы: Lucio Di Jasio, Tim Wilmshurst, Dogan Ibrahim и др. The Newnes Know It All Series takes the best of what our authors have written over the past few years and creates a one-stop reference for engineers involved in markets from communications to embedded systems and everywhere in between. 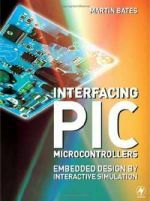 PIC design and development a natural fit for this reference series as it is one of the most popular microcontrollers in the world and we have several superbly authored books on the subject. This material ranges from the basics to more advanced topics. There is also a very strong project basis to this learning. 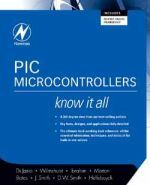 The average embedded engineer working with this microcontroller will be able to have any question answered by this compilation. He/she will also be able to work through real-life problems via the projects contained in the book. The Newnes Know It All Series presentation of theory, hard fact, and project-based direction will be a continual aid in helping the engineer to innovate in the workplace. 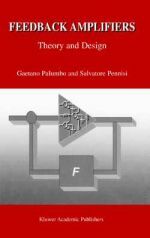 Автор: Palumbo G., Pennisi S.
Feedback Amplifiers: Theory and Design deals with feedback and feedback amplifiers. Although this topic has been extensively investigated over the years, theoretically exact and at the same time sufficiently simple and well organized material is not, to the authors' judgement, present today in literature. After describing the fundamental properties of feedback, the book illustrates techniques of analysis for greater insight into feedback amplifiers and design strategies to optimise their performance. The book has two main targets 1) a tutorial purpose since its aim is first to introduce and then to bring the reader to in-depth analysis and design of feedback circuits; 2) to present original material on the topic of feedback circuits. In particular, a new comprehensive approach for the frequency compensation of two-stage and three-stage amplifiers is adopted, and insightful new results are reported for harmonic distortion in the frequency domain. Design and build awesome audio amps. Amateur and professional audiophiles alike can now design and construct superior quality amplifiers at a fraction of comparable retail prices with step-by-step instruction from the High-Power audio Amplifier Construction Manual. Randy Slone, professional audio writer and electronics supply marketer, delivers the nuts-and-bolts know-how you need to optimize performance for any audio system--from home entertainment to musical instrument to sound stage. Build a few simple projects or delve into the physics of audio amplifier operation and design. This easy to understand guide walks you through: Building the optimum audio power supply; Audio amplifier power supplies and construction: Amplifier and loudspeaker protection methods; Stability, distortion, and performance; Audio amplifier cookbook designs; Construction techniques; Diagnostic equipment and testing procedures; Output stage configurations, classes, and device types; Crossover distortion physics; Mirror-image input stage topologies. 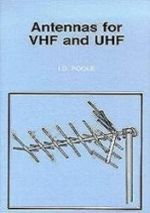 The book is aimed at amateur radio and short wave listening enthusiasts although it will provide a valuable reference for anyone interested in antennas for these frequencies. The VHF and UHF bands provide an exciting opportunity for experimentation with antennas. Their size at these frequencies means that they do not occupy great amounts of space and most people can experiment with constructing their own antennas.